Lock in a great price for Samay Hostel – rated 9 by recent guests! A really friendly family run hostel. Its a ten minute, downhill walk to the town plaza. You can get tuk-tuk style motorcycle taxis (those with a cabin on the back) back up the hill for a Sol or two if you like. Not a party place but we have had a lovely stay here with our young family. Carlos and his Mother really do their best to look after you. Great staff. Quiet, clean rooms. Nice cozy common areas. Gym equipment. Pleasant rooftop terrace. Idyllic countryside location. Amazing views. Just a 10 min walk away from the main square, this is a quiet place to rest and enjoy the gorgeous views of the surrounding mountains. 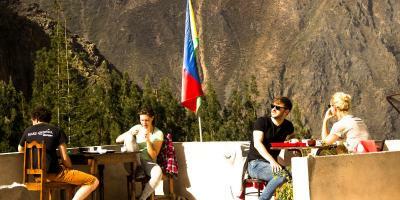 Carlos and his mother will make you feel at home and give you a lot of valuable tips and advice on how to best spend your time in Ollantaytambo. Would highly recommend! Carlis and his mum are amazing- so welcoming! Amazing location right in the valley with mountains all around, great view of night sky. Great location. Minutes walk on a safe nice street from the center and ruins. Run by excellent host Carlos with the great personality and a knowledge about a local history and culture. We received a lot of helpful tips and information from Carlos. Excellent breakfast you can enjoy on the top of the roof with a breathtaking view. He speaks English, its make moor ease for travelers like us. Carlos and his mom are the sweetest, most helpful hostel hosts ever! Carlos is a wealth of information about things to do in the area, and provides great recommendations. There are also two, equally as sweet dogs. The hostel is a little outside of town, but we liked that. When there was a small problem with our bathroom, Carlos resolved the problem immediately. The bed was warm and the included breakfast was nice. We loved Samay and would definitely recommend it! 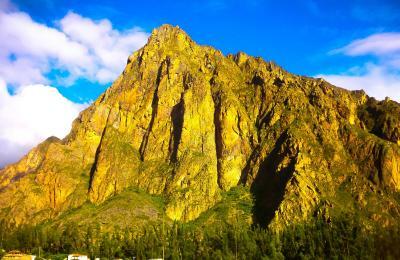 The room was private and the place was near Ollantaytambo train station. Perfect if you're going to Machu Picchu. The owner is very friendly and helpful. For a small price he took us and some other guests to a special spot to view the stars! The rooftop is cool. He gave us a great dinner restaurant recommendation too. Hosts were great and gave us muna and coca tea when we arrived. Extremely friendly and helpful in helping us plan our activities! Highly recommmend. Breakfast was good, Carlos and his mom are so welcoming, I was the only one in the hostel so it was very clean and very quiet. 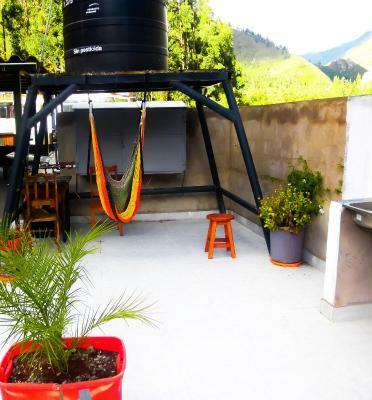 Located in Ollantaytambo, Samay Hostel has free bikes, a garden and a terrace. Among the various facilities of this property are a shared lounge and a bar. The property provides a 24-hour front desk, a shared kitchen and organizing tours for guests. At the hostel, each room is equipped with a desk. 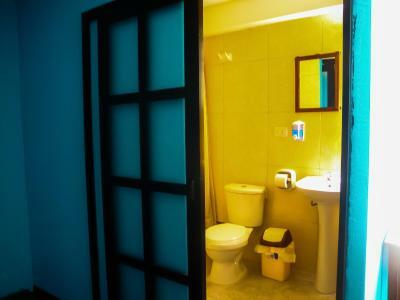 Rooms are complete with a private bathroom equipped with a shower, while certain rooms have a seating area. Guests at Samay Hostel can enjoy a continental breakfast. 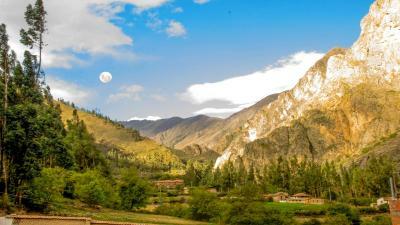 Urubamba is 13 miles from Samay Hostel. The nearest airport is Alejandro Velasco Astete International Airport, 51 miles from the property. When would you like to stay at Samay Hostel? House Rules Samay Hostel takes special requests – add in the next step! Please inform Samay Hostel of your expected arrival time in advance. You can use the Special Requests box when booking, or contact the property directly using the contact details in your confirmation. I loved this hostel! It was clean and peaceful! Thank you! Carlos and his mom were great hosts ! Extremely friendly and always with a smile, offering help at all times. The room and bathroom were clean. Amazing view from terrace. 5 min walk from main square and Just few min with moto taxi (tuk tuk), highly recommended ! It's a bit far to walk in perspective because this town is small. Walk is about 10 mins away. It is a long, sun burning walk up from the train station. Some doorways are very low, so I kept hitting my head. Carlos and his mom were extra welcoming and friendly. Carlos speaks English very good and provided a lot of very helpful info. Rooms are very basic, and my view didnt have a view. Rest of property has a great vibe. Great Terrace! The hostel itself was quite a bit outside of town and the facilities were minimalist and not cozy or welcoming. The staff was incredibly accommodating and kind. The only thing was that it was quite noisy at night time so it was hard to rest/there were no curtains in the room so I got woken up very early by the sun. Also the wifi didn’t work in my room very well but worked perfectly in the common area. These are very minor things though and I’d definitely stay again. I loved staying at Samay hostel, it was more like a home stay rather than a hostel. Carlos and his mum are extremely hospitable, some of the nicest people I’ve met during my travels. One day his mum even offered me vegetarian soup and I sat down and ate with them, like I was their family, it was very nice. I adored the two kittens there and their dog pequeña. Amazing views of the surrounding mountains. The staff were incredibly helpful and friendly. A perfect place to relax in the countryside but within easy walking distance to the village. Highly recommended!